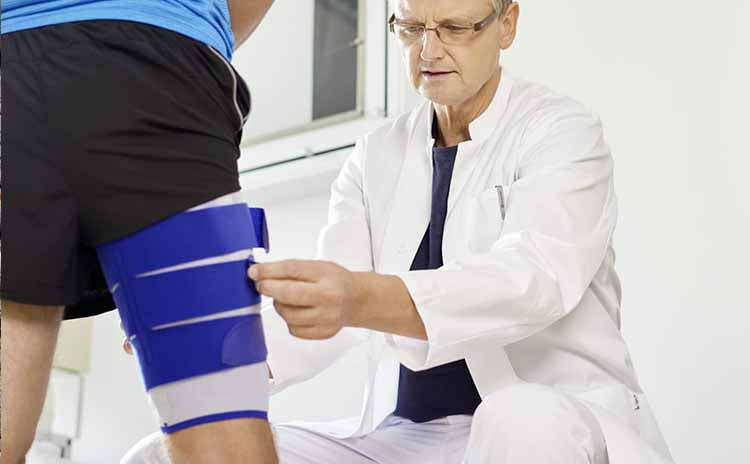 If you’ve had a thigh, quadricep or hamstring injury, the MyoTrain thigh brace will help reduce pain and increase comfort. Medical-grade gradient compression is integrated in the 3D Airknit technology, delivering oxygen and nutrients to the upper leg for faster healing and pain relief. A fast, effective alternative to taping, the MyoTrain thigh and hamstring brace has Velcro straps that make it easy to put on and take off quickly. Using these straps, you can adjust the level of compression based on your needs. 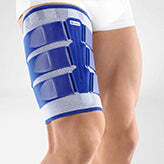 Ideal for quadricep and hamstring pulls and strains. 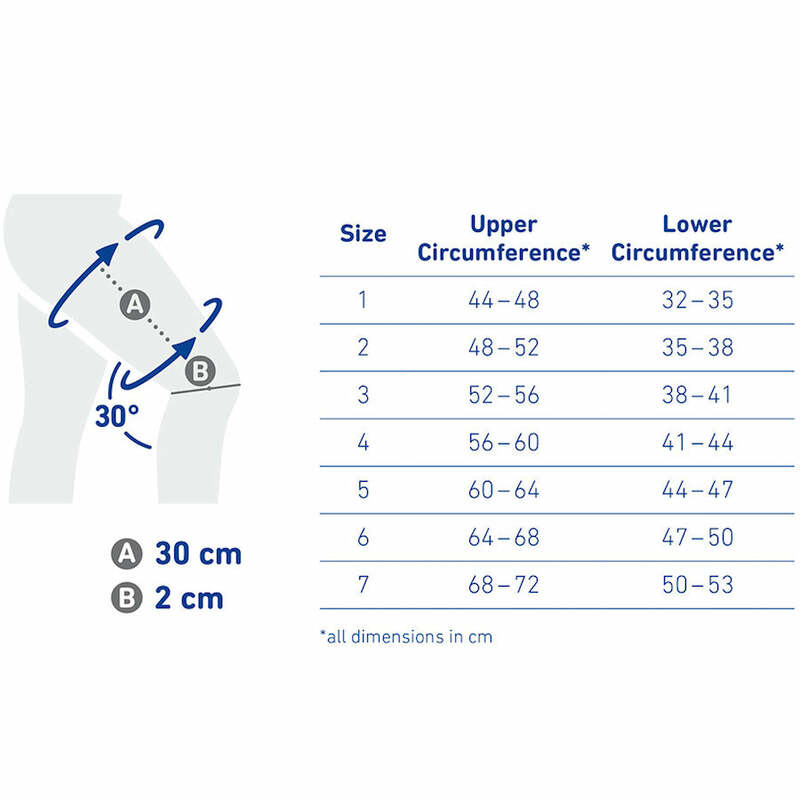 Measure the circumference of your thigh 30 cm above your knee (A) with your knee bent at 30 degrees. 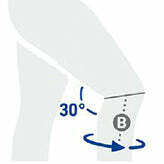 Measure the circumference of your thigh 2 cm above your knee (B) with your knee bent at 30 degrees. MyoTrain should feel snug and firm but not constrictive. 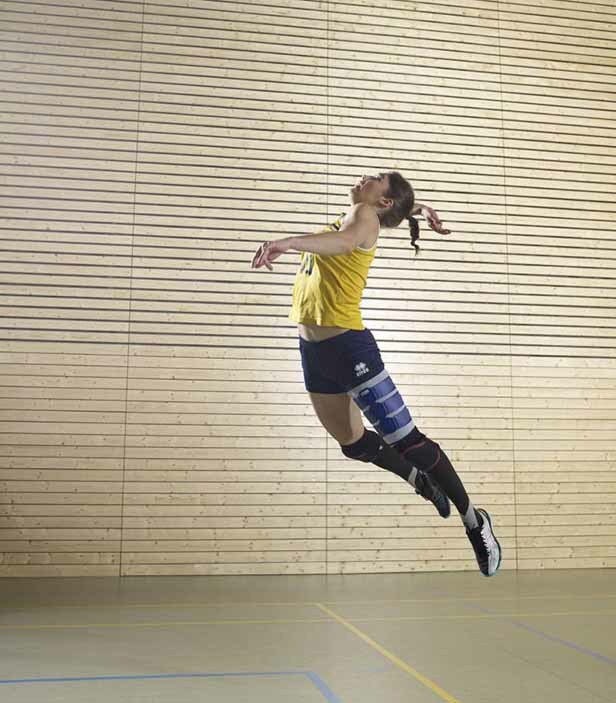 All Bauerfeind thigh braces have a 1 year warranty and qualify for our 30 day size exchange policy.